The Minister of Public Enterprises and the Board of TCC are happy to announce a major turnaround in the performance of the company resulting in a profit of $1,170,000 for 2017/2018 financial year. This is in stark contrast to a loss of $1,864,073 that was recorded from the year before. 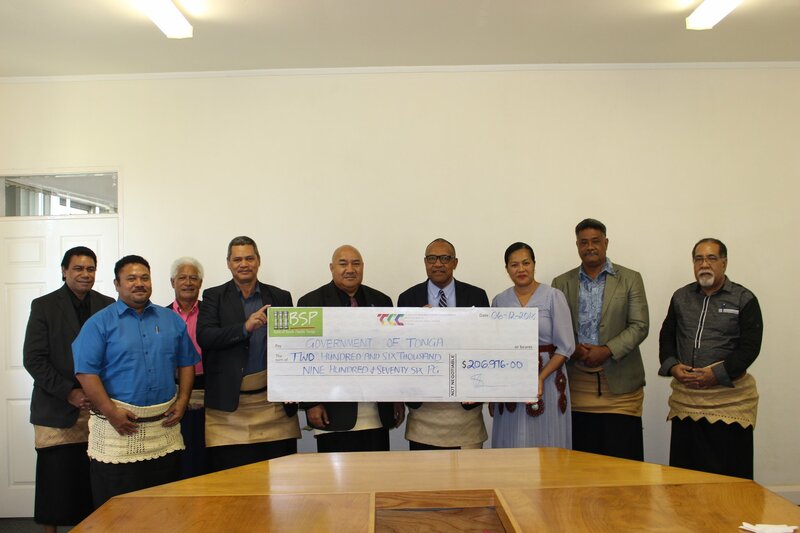 The company declared a dividend of $206K with a balance reinvested into expanding TCC’s range of services to all of Tonga in the coming fiscal years, in line with the Minister’s directive to provide affordable services to all. Along the same line the company also reduced internet rates to all customers by up to 50% at a cost of $1.65 Million to TCC’s revenue. 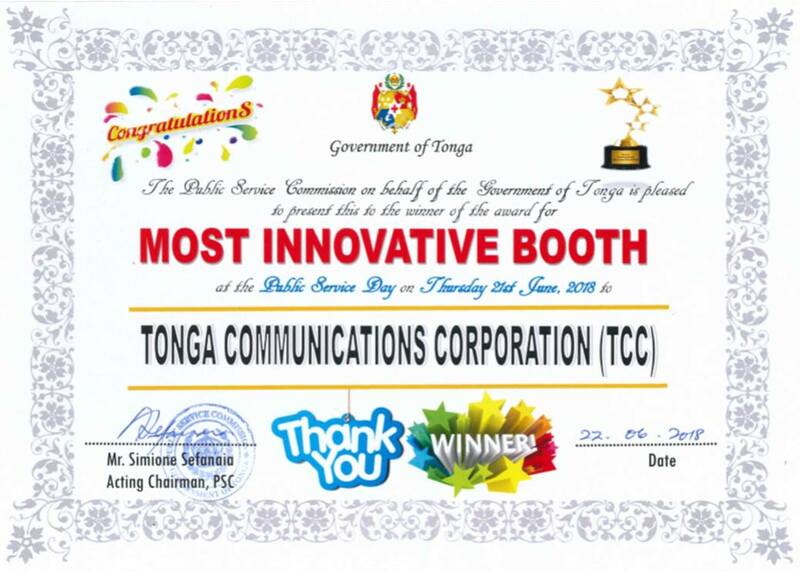 A BIG Malo aupito to the Public Service Commission for letting TCC be a part of the Public Service Day Initiative "Putting People First", held on Thursday the 21st of June at the Queen Salote Memorial Hall. Ko ha momeniti fakahisitolia ‘a hono tatala ko ia ‘e he ‘Eiki Minista ‘o e ngaahi Potungaue ‘a e Pule’anga , Hon. Saia Piukala ‘a e logo fo’ou ko ia ‘a e TCC pe ‘oku ‘iloa ko e Kautaha Fetu’utaki ‘a Tonga. ‘I he falakalaka lahi ko ia he ngaahi fakhoko fatongia mo e sevesi ‘a e Kautaha Fetu’utaki ‘a Tonga ‘I he ngaahi ta’u kimui ni mai , ‘oku ta pea ngali leva ke fakahaa’I eni kitu’a ‘I he ‘imisi logo fo’ou ‘o e kautaha. Ko e logo ko ‘eni ‘oku ne fakahasino mai ‘a e TCC ‘I ha kuonga fo’ou, mo e kaufakataha ‘a e kakai kotoa pe neongo e kehekehe hotau ngaahi puipuitu’a. 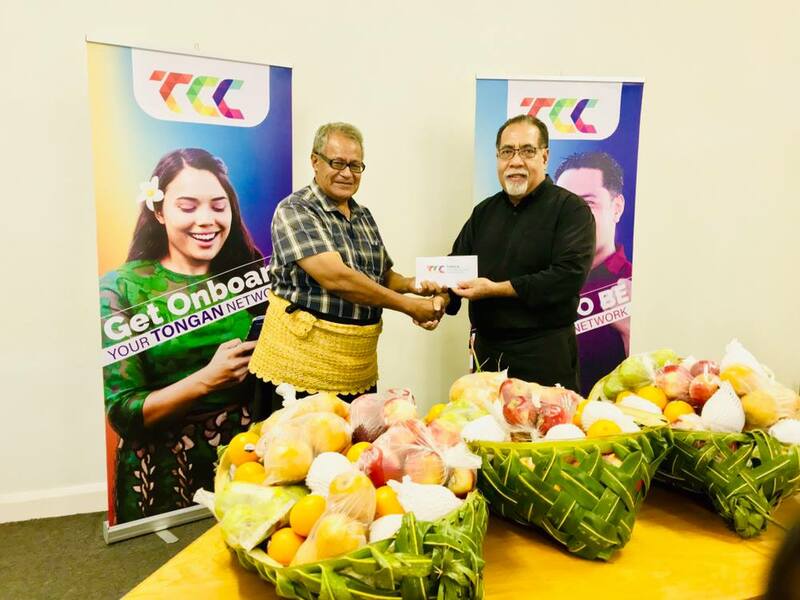 TCC is proud to be supporting the Tonga Table Tennis Federation in its efforts to send 3 athletes to the Oceania Para Table Tennis Championships in Darwin, Australia this May. The Oceania Para Table Tennis Championships is the biennial event for para table tennis athletes in the Pacific and is an official qualification event for the Tokyo 2020 Paralympics Games. Not only is the event a Paralympic qualifier but the last chance for athletes to get competition experience prior to the Pacific Games in Samoa. TCC is more than happy to support the Federation with funds, hamper, Data and credit to assist them in their preparations for the event.